Demetrious Johnson secured his seventh title defence as he dominated the man who gave him his biggest test as Champion, outclassing John Dodson in the main event of UFC 191 in Las Vegas. 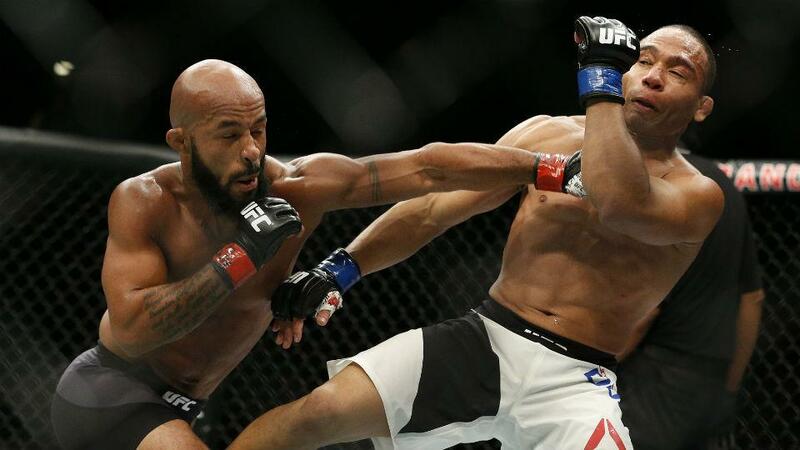 "Mighty Mouse" was unable to get the finish, but his hand was raised with a unanimous decision win as he demonstrated excellent technique and world-class MMA throughout. All the action began with Joaquim Silva's split decision victory over Nazareno Malegarie in one of two prelims on UFC Fight Pass—the organization's digital streaming service. Veteran Joe Riggs' subsequent meeting with Ron Stalling would have a strange ending, a disqualification for an illegal upkick from the latter fighter. As the preliminary action ventured on to televised screens, Tiago Trator prevailed over fellow Featherweight Clay Collard in a rather dull encounter, but Raquel Pennington would do some to ammend that, defeating Jessica Andrade with a last gasp rear-naked choke in the second round, after both Women were slugging it out for near to ten minutes. Then came one of the greatest brawls to ever take place inside the Octagon. 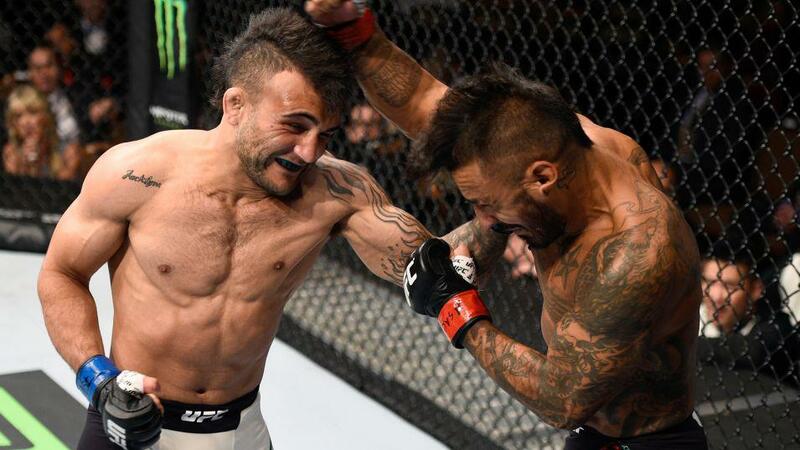 John Lineker, debuting at Bantamweight after a hard time making the cut at 125 lbs, would emerge from a chaotic bout which saw both fighters exchange wildly with a combined total of 98 punches in just over 2 minutes. Lineker would floor his opponent with the strikes, and after he got up, Rivera went for the takedown, only to land in a Guillotine choke as the Brazilian walked away with a hard-fought submission win. Paul Felder and Ross Pearson had their work cut out if they wished to top the fight in the featured prelim, and following a showcase of technical striking, the Brit would edge the "Irish Dragon" by split decision, after both Lightweights cancelled each other out on numerous occasions. Opening the main card in dominant fashion, Paige VanZant continued her progression as an exciting Strawweight prospect as the Alpha Male star pummelled Alex Chambers en route to a third round submission victory by way of an armbar. "12 Gauge" controlled the early exchanges in the clinch, landing knees and a serving of elbows against the Aussie, slowly wearing her opponent down. That would take its toll on the 36-year-old, who was on the bottom for a large portion of the second frame and even came close to securing a chokehold. In the third round, when the fight went back to the ground, VanZant was steadfast in capitalising on the opportunity to lock in an armbar for the win. The Ultimate Fighter 19 winner Corey Anderson dominated Jan Blachowicz over the course of three rounds in the second fight of the pay-per-view. With two judges scoring it 30-25 in favour of the American, it really told the story of the fight, a takedown lead to brutal ground-and-pound, breaking the will of the Pole and the victory for "Beastin 25/8" was clear for all to see. 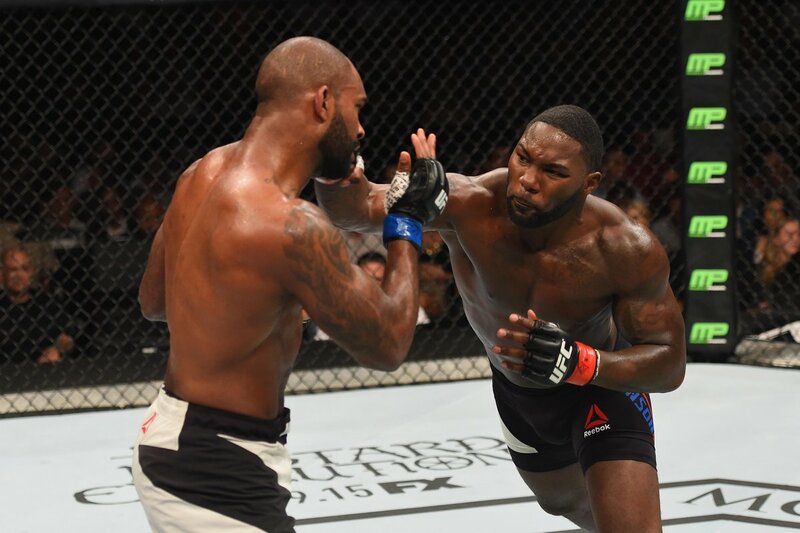 Anthony "Rumble" Johnson got back in the win column following his loss to Daniel Cormier in a Light Heavyweight Championship title fight as he floored Britain's Jimi Manuwa half-a-minute into the second round. Setting the pace early, he initiated the clinch and landed a few shots, and while the Londoner certainly held his own when the fight was stood up, a takedown followed by plenty of control gave "Rumble" the first round. But the judges scorecards were not needed, when Anthony Johnson picked out one thunderous overhand right, that would be the end of it. "Posterboy" went tumbling to the canvas and the referee called a stop to the action—it's the beginning of Johnson's bid to get back to the top near contention for the strap. Andrei Arlovski's resurgence continued at the expense of another former champion's. The Pitbull prevailed on the judges scorecards against Frank Mir in a Heavyweight showcase that surprisingly went the distance. Submission specialist Mir looked to take the fight to the ground at times, but when Arlovski got up, his striking was more effective out of the two, and that proved to be the deciding factor as he picked up another win. And finally, it was time for the main event, as Demetrious Johnson defended his championship against John Dodson. The animosity between the two Flyweights was clear, signalled as they refused to touch gloves when they squared up. After the proverbial feeling-out process, the champion began to get into his stride, setting the pace and cutting off the Octagon for his opponent. Using an array of offence from so-called question-mark kicks to right hand punches straight down the middle, "Mighty Mouse" was unable to get the takedown in the early rounds, with the Magician displaying excellent takedown defence. When they were in the clinch, Johnson found the way to strike a much higher and more effective volume. Even when accidentally hit below the belt, Johnson told the referee to get out of the way, and rather than using his allocated break to recover, he continued instantly. Dodson showed glimpses, but it was Demetrious in full control. 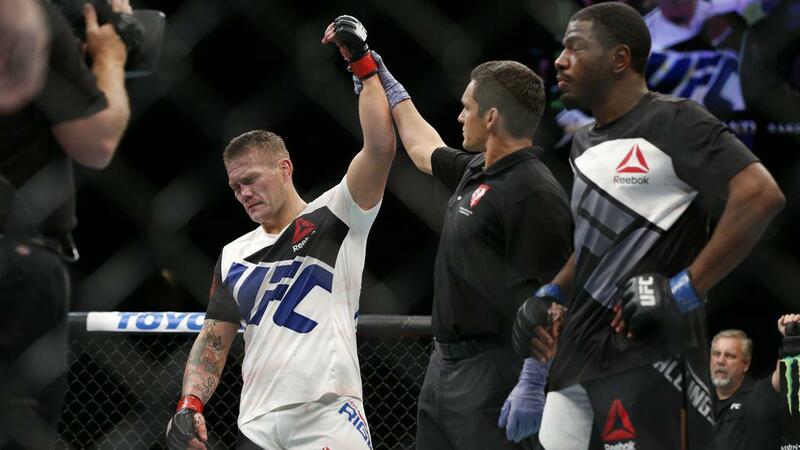 The relentless pace brought in by the champion took its toll, as Dodson continued to wither—failing to offer any desperate attempts to salvage his challenge. The ending of the fight left no one with a question as to who won, nor to who is the best in the division. It even perhaps made the question of who is the best pound-for-pound fighter in the world that little bit easier. Demetrious Johnson dominates John Dodson to retain his Flyweight Championship at UFC 191.